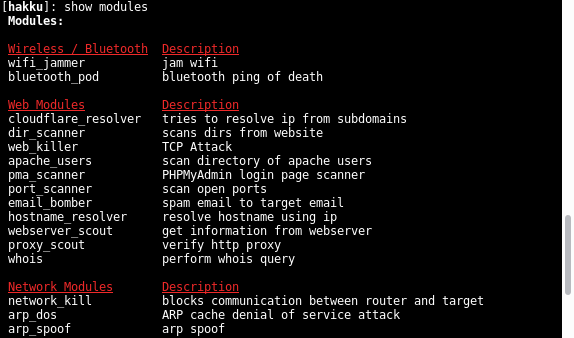 Hakku is simple framework that has been made for penetration testing tools. 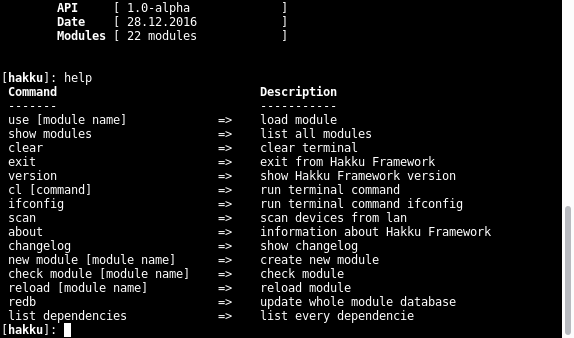 Hakku framework offers simple structure, basic CLI, and useful features for penetration testing tools developing. Hakku is on early stages and may be unstable, so please download the released versions from github or sourceforge, don't just clone github repository except you don't want stability, you want to try out latest features, or you just want to develop Hakku. Hakku is under MIT license, in other words you can do what you ever want with the source code. What will i need to run Hakku framework? Hakku framework is written in python 3, and developed mainly on Arch Linux. 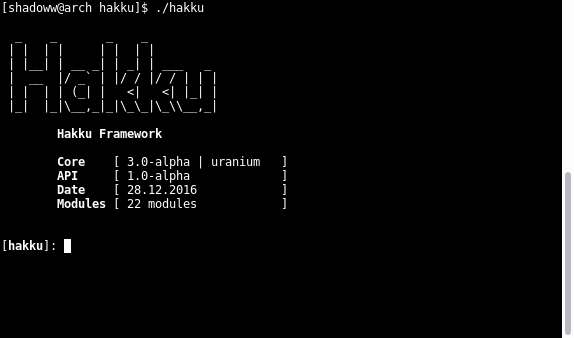 So you should get Hakku framework running with Linux based operating system, python 3.5, and the dependencies. How i can get started? If you are new to Hakku framework you should look at the official wiki. Hakku framework features basic CLI to load up and run penetration testing tools, simple scripting interface, and python api. If you do have any questions etc. about Hakku Framework, then i don't mind if you send me email.